Pics from Augmented World Expo... 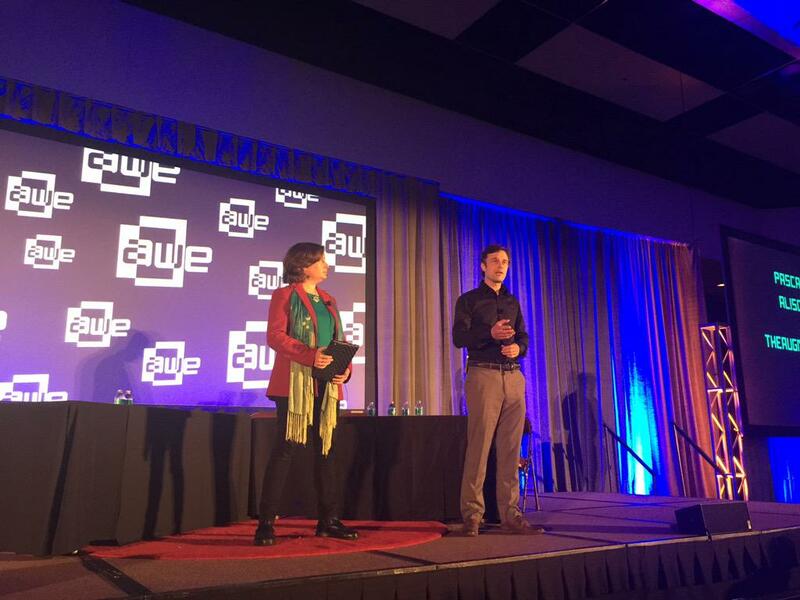 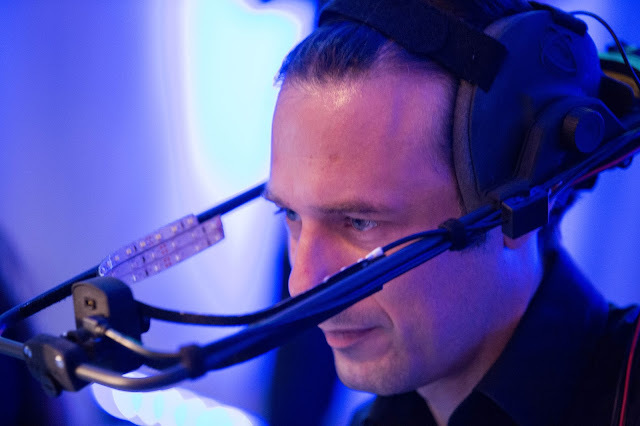 Huge thanks to Ori Inbar, Tom Emrich, Gal Yaguri and the whole AWE 2015 team for three incredible days of futurevision! 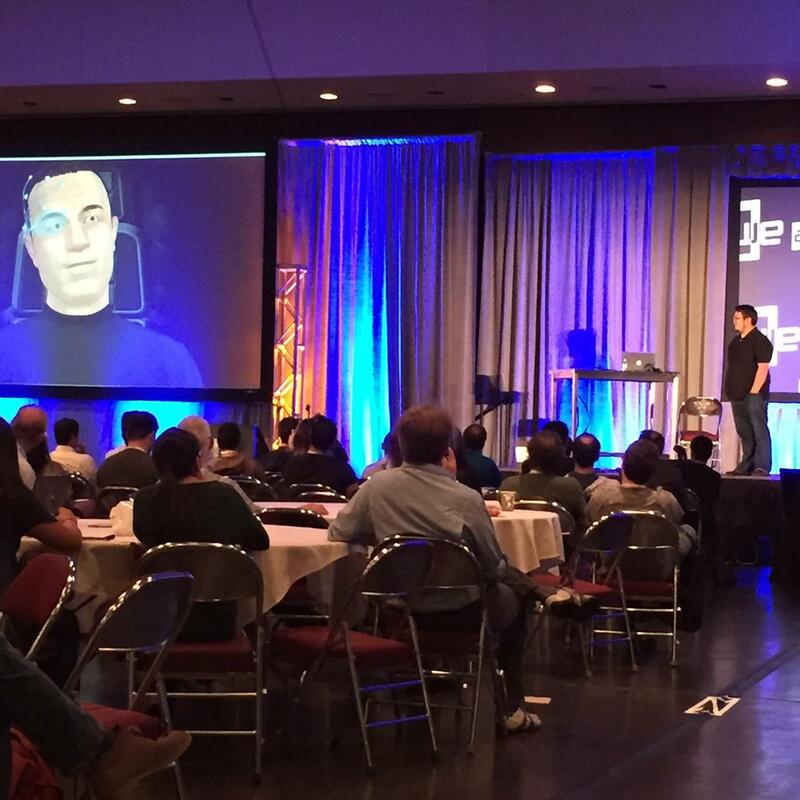 Augmented World Expo @ARealityEvent: "Have you had your devices read yet? 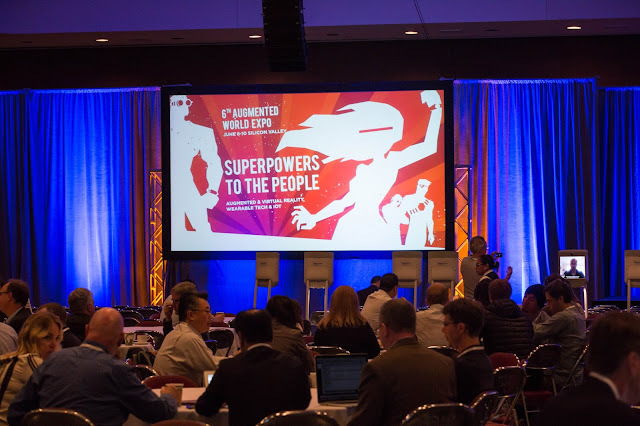 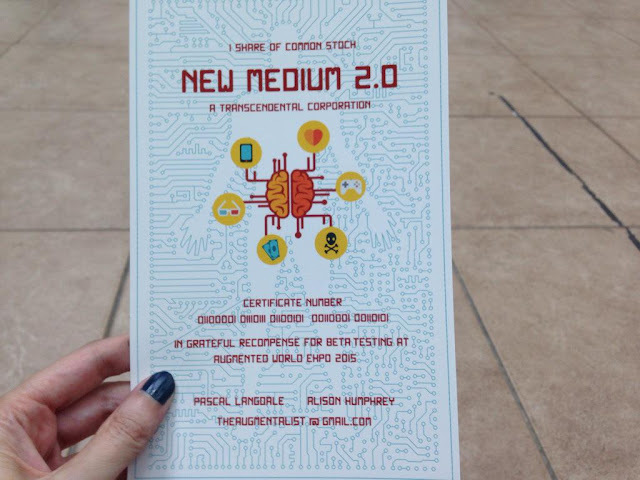 Check out the Augmentalist, a digital psychic #AWE2015 #AR"
Kara Platoni @KaraPlatoni: "The Augmentalist advised me to be true to my adaptability and that the future would be rosy indeed. 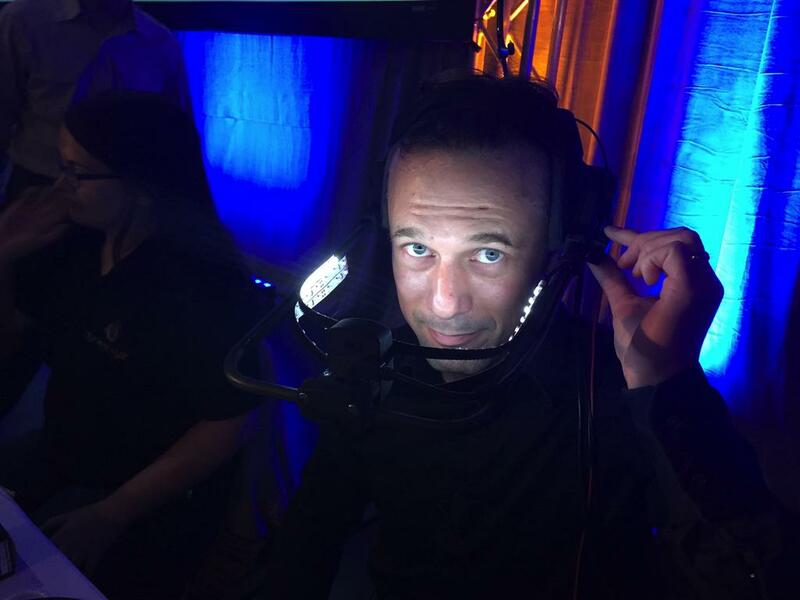 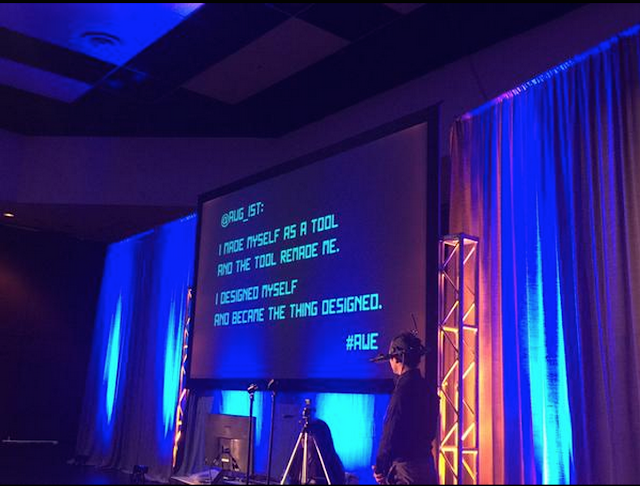 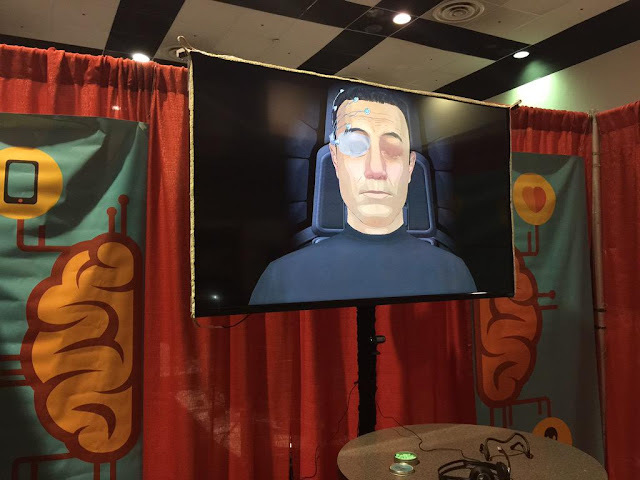 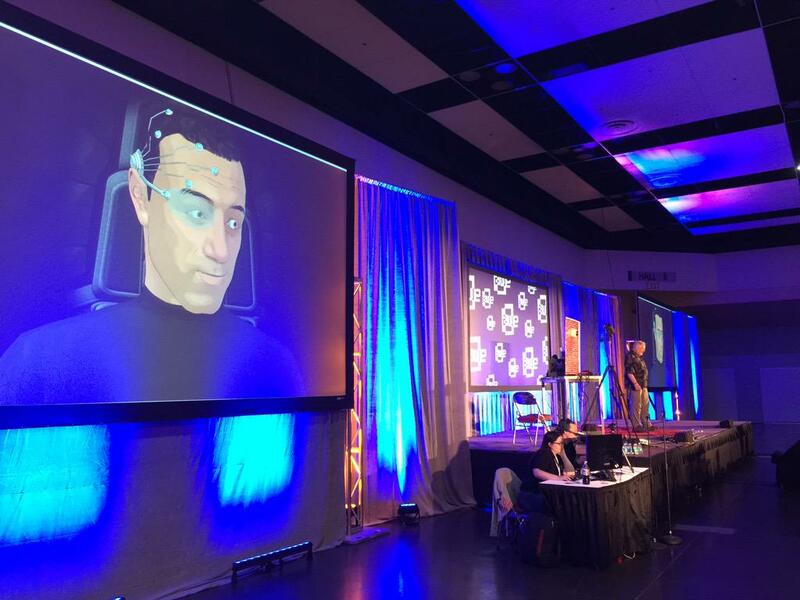 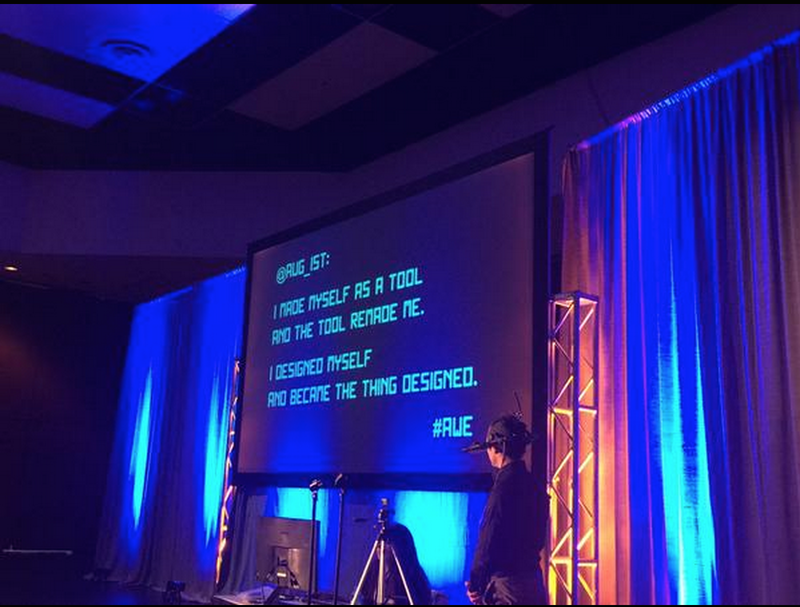 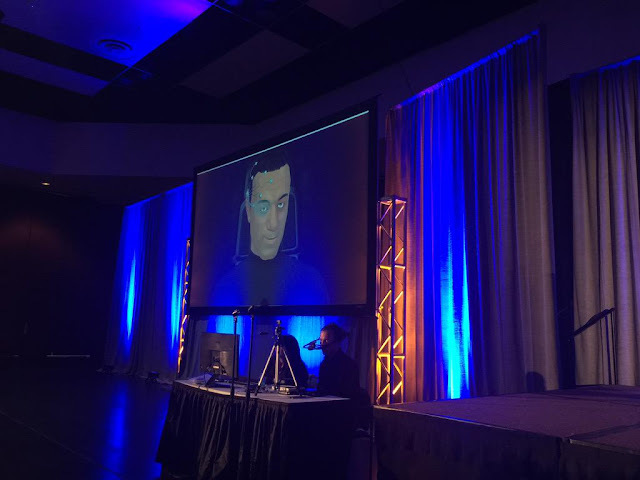 #AWE2015"
Sean White @seanwhite: "Looking behind the curtain at the @ARealityEvent #awe2015"
Augmented World Expo @ARealityEvent: "Our digital psychic the Augmentalist reads Tom Furness @VRWorldSociety #AWE2015"
Augmented World Expo @ARealityEvent: "Johnny Lee of Google Project Tango talking to the Augmentalist #AWE2015"
Kevin Arthur @karthur: "Black Mirror time at #awe2015?" 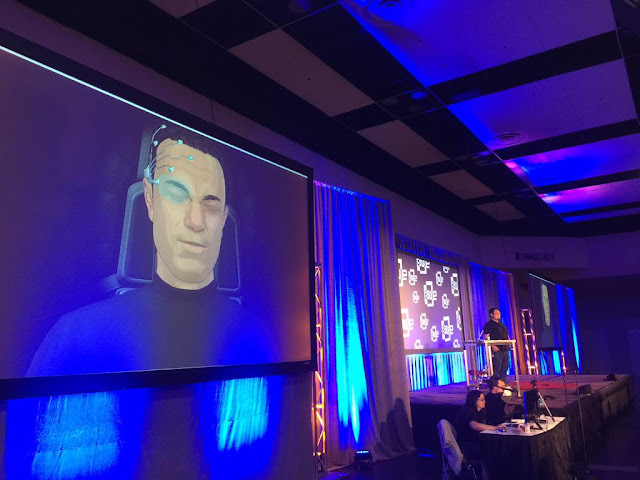 Augmented World Expo @ARealityEvent: "The Augmentalist finale is live #AWE2015"
Augmented World Expo @ARealityEvent: "Just witnessed the grand finale with the death of The Augmentalist #AWE2015"
Augmented World Expo @ARealityEvent: "The team behind The Augmentalist @alisonhum @pascallangdale #AWE2015"